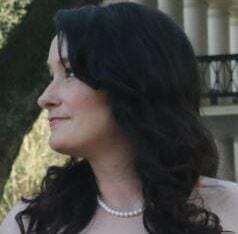 This super-smart and active breed needs a lot of exercise and loves children. Formerly named the Jack Russell terrier, this high-energy dog is smaller than the Parson Russell terrier. A working breed with a strong hunting instinct, the Russell terrier has a weatherproof coat that is predominantly white with patches or spots of black, tan or both. The average life expectancy ranges from 12 to 15 years with some living longer. Heights average from 10 to 12 inches and weights from 11 to 13 pounds. This breed originated in England in the mid 1800s as fox and vermin hunters. The size of the dog allowed it to be carried in terrier bags on horseback. The dogs were developed in Australia as the Jack Russell terrier. 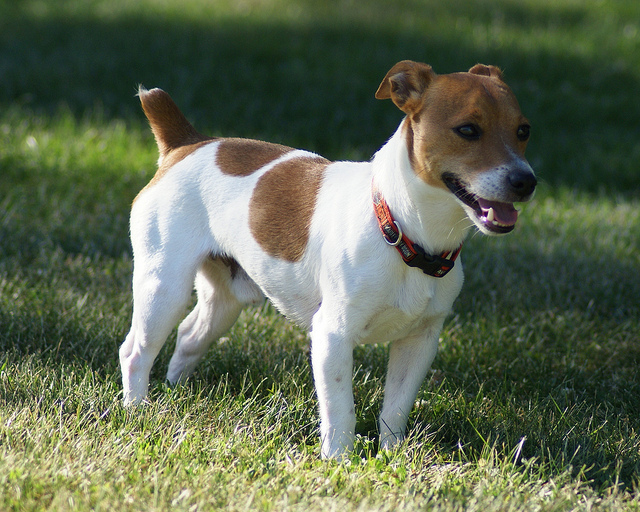 The breed was renamed in the United States to Russell terrier. This is a separate breed from the Jack and Parson Russell terriers with its different body shape and height. This new breed is recognized by the American Kennel Club and accepted into the Westminster Kennel Club dog show as a new breed in 2013. Originally fox and vermin hunters, the breed’s purpose today includes vermin hunter, companion pet, competitive show dog, agility and tracking trial participant. Russell terriers are fearless, confident and loyal animals that are affectionate with their owners. Their high intelligence makes them extremely trainable, and they need socialization and reinforced training to avoid becoming stubborn. Russell terriers are good with children but should not be left alone with small animals because of their strong hunting instincts. This very active breed needs regular activity, play and toys and would be great for an active family that enjoys spending time outdoors. They will do well in apartments or city life with regular, daily exercise. The weatherproof coat needs little grooming apart from a weekly brushing and bathing only when needed. The coat needs to be stripped when competing in conformation. Regular teeth brushing and nail clipping is recommended. Is the Russell Terrier the Right Dog for You? While this breed is small and does well in apartments, they need regular exercise and consistent training or they will become stubborn. The high-energy level makes them great companions for a busy, active family that enjoys the outdoors. They are good with children but should not be left alone with small animals due to their strong hunting instincts. Grooming and health problems are minimal, but the coat will need to be stripped if you plan on entering conformation competitions and shows. If you can provide an activity outlet and like spending time outdoors, the Russell terrier could be the perfect dog for your family. If you consider getting a Russell terrier, please turn first to adoption resources. Even purebred animals land in shelters sometimes. Try the Petful adoptable pets search. You can also check with rescue groups and breeders. Ensure sure the breeder is reputable. Breed Club: The American Russell Terrier Club, Inc.